Following months of public comments, New York City’s Mayoral Advisory Commission on City Art, Monuments and Markers, formed last September by mayor Bill de Blasio, has finished its review. 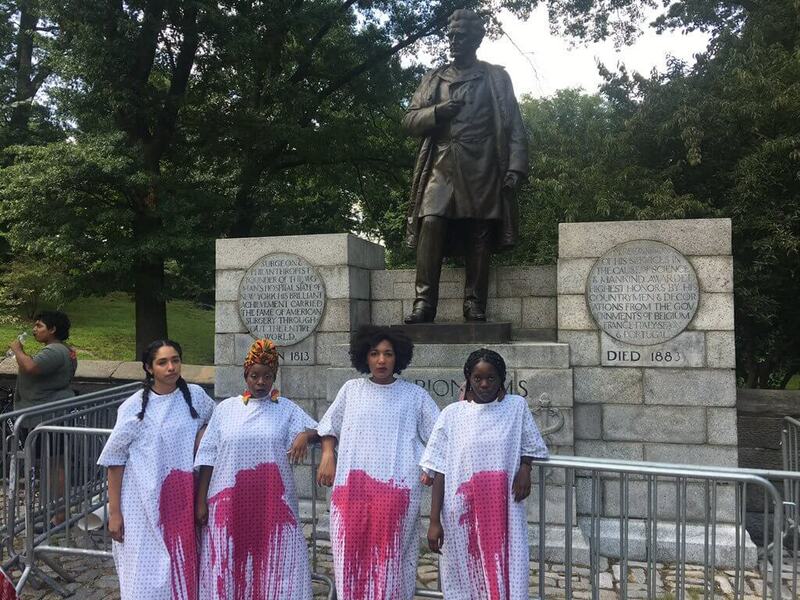 The commission was created as response to the rising fervor around removing contested monuments around the country, as local activists pointed out that New York has its fair share of statues that celebrate problematic historical figures. 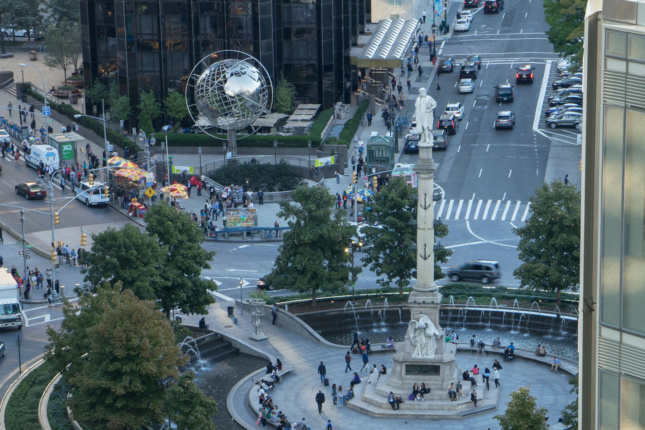 The most contentious of the monuments under review was the Christopher Columbus statue that anchors the Columbus Circle roundabout on the southwestern corner of Central Park. 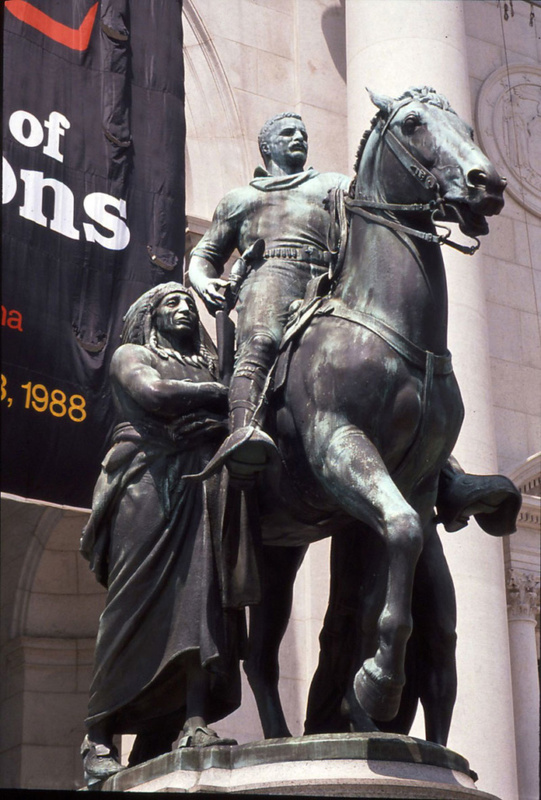 New York’s Italian-American community slammed the possibility of removing the statue when the commission was first announced, while others decried celebrating a figure whose actions directly led to the killing of native peoples and the seizing of their land. Instead of removing the iconic statue, de Blasio has announced that plaques will go up explaining historical context, as well as the creation of a monument celebrating the achievements of indigenous peoples near Columbus Circle. Citing the “layered legacies” of each of the items under review, the commission’s report recommended a number of changes for several other highly public monuments, which the mayor has already signed off on. The statue of Theodore Roosevelt on horseback in front of the Museum of Natural History, recently doused in red paint by activists, will stay put. Instead, the museum will be offering educational programs on both Roosevelt’s history of conservation as well as his views of colonialism. Additional markers will be installed around the statue to the same effect. The statue of Theodore Roosevelt in front of the American Museum of Natural History. The J. Marion Sims statue at 5th Avenue and 103rd Street bordering Central Park was also under deliberation. Known as the “the father of modern gynecology,” Sims’ legacy has come under fire for his well-known experimentation on unanesthetized slaves. Citing the lack of contextual relevance for the statue’s current site the commission voted to relocate it to Green-Wood cemetery, where Sims is buried. While the original pedestal will remain in place in East Harlem, a plaque will be installed that discusses the issues Sims’ legacy raises. Finally, a marker for Marshal Philippe Pétain has been left in place on Lower Broadway’s “Canyon of Heroes”, which denoted a stretch from the Battery to City Hall where ticker-tape parades are typically held. The marker was installed in 2004, when the Downtown Alliance installed a series of 206 granite markers along the avenue, each representing a ticker-tape parade that had been held on Broadway. The Frenchman had been hailed as hero after returning from WWI and honored with a parade in New York, but later became a top figure in the collaborative Vichy government during WWII. In light of his eventual conviction for treason, the commission recommended installing signage that would re-contextualize the markers, as well as stripping the “Canyon of Heroes” name from Lower Broadway. The committee’s full report is the culmination of months of public hearings and thousands of public comments.